Alternative forms of charity could have a deeper impact on the forces that underpin moral and social transformation. Revelations of sexual harassment and abuse in the charity and NGO sectors have triggered deep questions about the nature of voluntary action today. What are the costs of increased size and bureaucracy and the distancing of not-for-profit agencies from grassroots constituencies and concerns? Are there alternative forms of charity that avoid these problems while achieving a different kind of impact on power relations, human relationships and values—the things that really underpin long-term moral and social transformation? For the last six months, I’ve been volunteering with the Catholic Worker movement in London which tries to do just this. While there’s certainly a place for formal charities that are run by paid managers and employees, the Catholic Workers and other groups like them build their activities around an individual and collective commitment to serve the most vulnerable and destitute in society that eschews personal, material gain. With its roots in pacifism and Christian anarchism—which attracts people from all Christian denominations and none—the movement represents a concrete re-imagining of the nature of charity and serves as a counter example to many other contemporary institutions. It was founded by Dorothy Day and Peter Maurin in the US in 1933, who initially joined forces to found a radical newspaper. When homeless people started enquiring about the ‘houses of hospitality’ that the newspaper described, Day felt compelled to act, and opened the first such house in New York to those who had been made homeless by the Great Depression. Since then, more than 150 other houses have been founded across the United States and Europe, providing food and lodging to homeless people and refugees within a supportive community environment that also acts as a hub for broader strategising and organising. Hence, both concrete action and self-sacrifice lie at the heart of the Catholic Worker movement, and it’s this relationship that distinguishes its work from that of other more formal charities. What makes the movement effective is the simplicity of this call-to-action in which everyone in the house or community is part of the same, shared endeavour. But the movement is not just about personal transformation; it also carries a broader political message, and from the 1930’s it has sought to challenge the injustices of the time. Day highlighted the horrors of Hiroshima and Nagasaki while several other Catholic Workers were imprisoned for their acts of civil disobedience against the Vietnam War. It’s the linking of these two levels of action together that’s still the essence of the movement today—a different form of individual motivation that supports, and is supported by, a much broader call for social and political change. It’s in this spirit that London Catholic Worker provides meals and accommodation for up to 18 destitute asylum seekers at Giuseppe Conlon House, an ‘intentional community’ in North London. The aim is to provide concrete support for those who have no recourse to public funds, and to resist hostile immigration policies. Every month, live-in volunteers hold a silent vigil outside the Home Office to remember those who have died in fleeing war and persecution. Ziegler tells me that she once attended an event with senior staff at homeless charities. She noted that they weren’t interested in discussing homeless people who had no recourse to public funds. If refugees don’t have approved ‘leave to remain,’ they told her, it means that they’re illegal in the UK, while other staff said they ‘don’t have the funding’ to support such refugees. But if charities aren’t supporting some of the most vulnerable people in society who will? Perhaps that requires thriving models of charity outside the formal charity sector. Many charities rely on government funding, while others have a close relationship with government that affects their political neutrality. Leading homelessness charity St Mungo’s, for example, was recently accused of working with the Home Office to find and arrest homeless people deemed to be staying illegally in the UK. In this context, the Catholic Worker movement is relevant because everybody is deserving of support and no questions are ever asked of them. “We never ask why they are here,” writes Day in Loaves and Fishes. For me, this approach is the heart of charitable work; recognising the inherent worth and dignity of every human being. What makes Giuseppe Conlon House and other houses of hospitality different to a night shelter is that those who are welcomed—whether refugees or homeless people or anybody else—are not treated as ‘service users’ as in the vernacular of many charities; they are ‘guests.’ They live together with volunteers in an intentional community in which friendships can develop between guests and volunteers. Guests also move out of the house whenever they are ready. It is this type of community which has helped to create ‘wholeness’ for guests at the Catholic Worker Farm in North West London, which caters for destitute female asylum seekers and their children by providing temporary lodging, meals, counselling and English lessons. As Scott Albrecht told me (who calls himself the ‘kindly abbot’ of the farm), “The most significant thing is the lives of the women. They go from severe confusion and chaos to wholeness and wellbeing. That is the most rewarding and satisfying, like a woman from Afghanistan having her bones literally crushed. She has recovered.” The guests are called ‘sisters’ and over 500 women have been supported at the farm since August 2006. Speaking as a charity professional myself, I don’t believe that everyone has to give up their salary in order to be effective. That would be unsustainable, and it could act as a barrier to people with less means who want to get involved in social action. What we really need is a vibrant and dynamic civil society in which charitable institutions are just one part of the equation in forging a just and equitable society, and in which the most vulnerable people who ‘fall through the cracks’ are supported. Indeed, the initial findings of an inquiry into the future of civil society found that people are losing trust in big institutions, including charities. That’s why voluntary action must exist outside of formal institutions, through self-organised networks like the Catholic Worker movement. Because there are no central headquarters for the movement, houses of hospitality work in agile and dynamic ways that are not hampered by bureaucracy, like the Saint Maria Skobtsova House which was founded in 2016 in response to the Calais 'jungle' and which supports refugee minors. 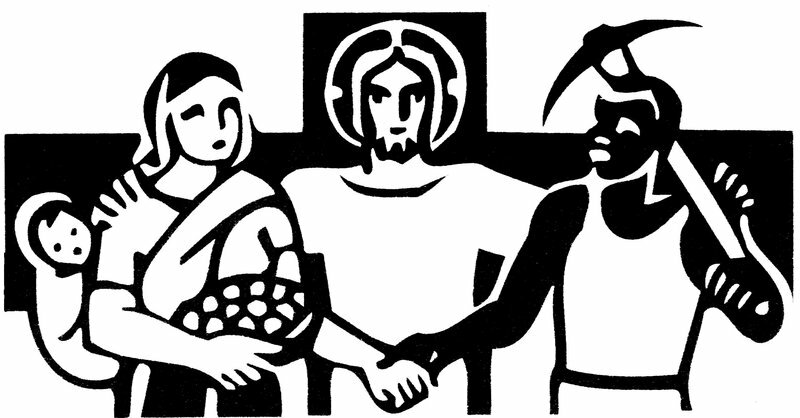 The Catholic Worker model is not utopia. There are still power inequalities between volunteers and guests because volunteers have a right to work and guests do not, just as volunteers choose to live in a house of hospitality and guests may not have a choice at all. However, the choice for volunteers to live in ‘voluntary poverty’ helps to mitigate these inequalities in power. It’s a lesson from which other charities might learn.